Office Lens is now a Business Card scanner! 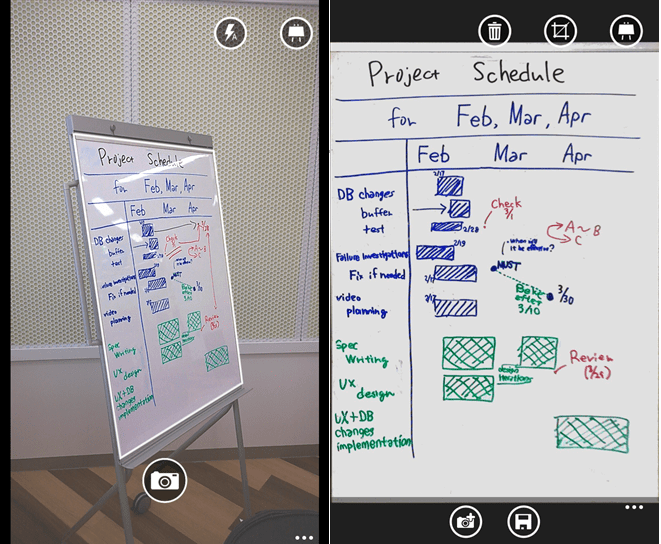 Office Lens is a free app for your Windows Phone that captures images through your phone’s camera, and dynamically identifies the object. (whiteboard, projection screen, document, business card) By banding the edges digitally (see image below), it “straightens out/realigns” the image visually no matter what angle the photo is taken at and can even interpret the text in the image using OCR – in this case, for creating Outlook Contacts out of business cards. 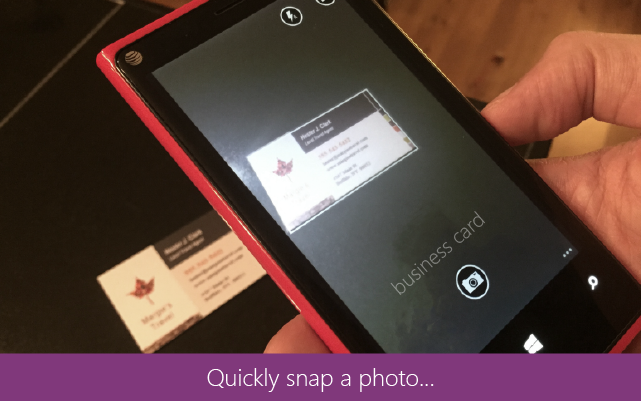 Now you can scan business cards in its new Business Card mode! Using technology from Microsoft Research, when you take a picture of a business card with Office Lens for Windows Phone and save it to OneNote, it will automatically recognize the card’s contact information and format it nicely into your OneNote notebook. 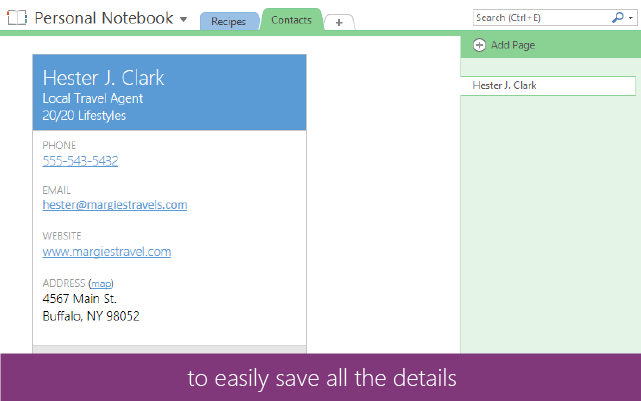 Using OneNote on your phone, tablet, Mac or PC, you can search for text contained in the scanned business card, initiate a call to the number recognized, find their address on a map or open the attached VCF file to save their contact details to Outlook or your phone’s contact list.